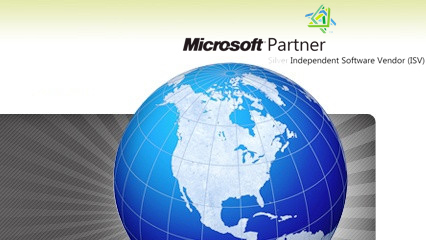 Η Innovis Α.Ε., ως Microsoft πιστοποιημένος συνεργάτης (Microsoft Certified Partner - Silver Independent Software Vendor - ISV), μπορεί να σας προσφέρει μοναδικές προτάσεις προϊόντων server της Microsoft που εκτοξεύουν την αποδοτικότητα και παραγωγικότητα της επιχείρησής σας, όπως για παράδειγμα Microsoft Office SharePoint Server 2007, Microsoft SQL Server 2008, Office Communications Server 2007, Windows Server 2008, Windows Small Business Server 2008. Μπορούμε να σας παρέχουμε άδειες χρήσης λογισμικού και υπηρεσίες προσαρμοσμένες στις ανάγκες σας, καθώς επίσης και διάφορα άλλα δημοφιλή προϊόντα της Microsoft. SQL Server 2008 delivers on Microsoft’s Data Platform vision by helping your organization manage any data, any place, any time. Store data from structured, semi-structured, and unstructured documents, such as images and rich media, directly within the database. SQL Server 2008 delivers a rich set of integrated services that enable you to do more with your data such as query, search, synchronize, report, and analyze. Microsoft Office SharePoint Server 2007 is an integrated suite of server capabilities that can help improve organizational effectiveness by providing comprehensive content management and enterprise search, accelerating shared business processes, and facilitating information-sharing across boundaries for better business insight. Office SharePoint Server 2007 supports all intranet, extranet, and Web applications across an enterprise within one integrated platform, instead of relying on separate fragmented systems. Additionally, this collaboration and content management server provides IT professionals and developers with the platform and tools they need for server administration, application extensibility, and interoperability. With Microsoft Office Project Server 2007 and its clients, your organization can more effectively manage and coordinate work ranging from one-time projects to complex programs across the entire project life cycle. Office Project Server 2007 is designed to be accessible by its clients, Microsoft Office Project Professional 2007 and Microsoft Office Project Web Access. Windows Small Business Server 2008 (SBS 2008) is an “all-in-one” server solution designed to help you keep your data more secure, your company more productive, and gives you the tools to present a more professional image to customers. It provides many of the features used by larger companies—e-mail, Internet connectivity, internal Web sites, remote access, support for mobile devices, file and printer sharing, backup, and restore—all at one affordable price. BizTalk Server 2006 R2 enables organizations to automate and optimize mission-critical business processes that span across applications, people, and organizations. In this datasheet, get information on what's new in BizTalk Server 2006 R2, as well as how BizTalk Server 2006 R2 helps businesses manage people ready business processes both within and across the enterprise value chain. Office Communications Server 2007 delivers streamlined communications for your users so they can find and communicate with the right person, right now, from the applications they use most (like Microsoft Office Outlook) whether at the office, at home, or on the road. The flexibility and familiarity of a common user interface, whether on the PC, the Web, or a mobile device, helps enable both increased productivity and accessibility. Without expensive infrastructure and network upgrades, IT can deliver these capabilities, including software-powered VoIP, Web conferencing, and enterprise instant messaging, while maintaining the operational control required by today’s business needs.